M & P Simpson states that "The Mellor Brothers (of South Australia) formed a Farmers' Cooperative Co Ltd in 1891, and to widen the scope of business, set up branch factories in Sydney (Meadowbank Manufacturing Co) and Melbourne (Baybrook Implement Co) Mellor Bros Cooperative Co Ltd was wound up in 1895. The Baybrook Implement Co was wound up and H V Mckay purchased the plant in 1904". 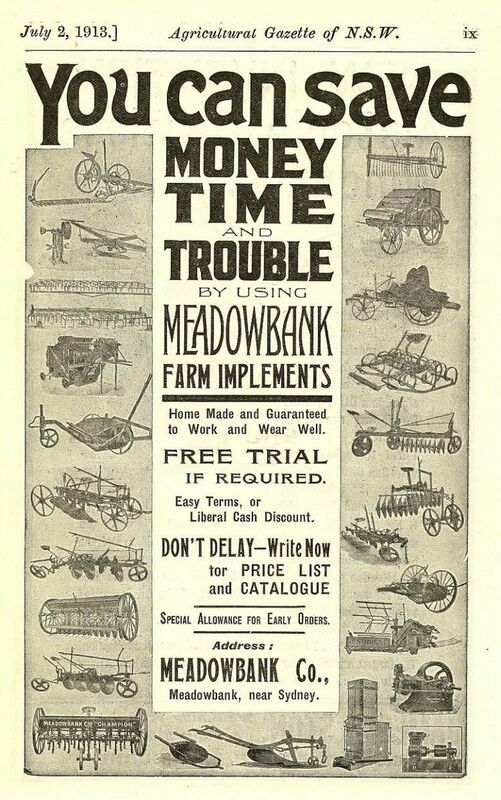 The Meadowbank Manufacturing Co survived the demise of its parent (Mellor Bros Coop) and must have prospered, as there was an advertisement for their ploughs in 1911 Pastoralists Review, and listings in Sydney S & M Directories have been sited from 1904 to 1933. In addition to agricultural implements and machinery, they made trams for the Sydney Tramways. My grandfather Frederick Calvert came to Australia in about 1910 from Yorkshire to run Meadowbank works as I remember it being referred to . He must have been engineering works manager as he and his wife and 9 children lived onsite in a house provided by the company up until closure about 1932 , the works had folded probably caused by the effects of the depression. Meadowbank manufactured rolling stock, tram and railway, I believe they built a batch of Sydney's infamous red rattler electric carriages, bodies and interiors of motor cars, general engineering and agricultural implements. I was born in 1940 so was never directly involved but my mother worked there for a period of time and often spoke fondly about the family involvment. The works closed and the building and contents sold off, part of the site standing vacant alongside Meadowbank suburban railway station until the TAFE college was built more recently. Only one of my aunties survives, the youngest of the nine children. Spanners marked Meadowbank are hard to find. We have only seen the one below. If there are others about, or other relevant info, please contact us on the link below. 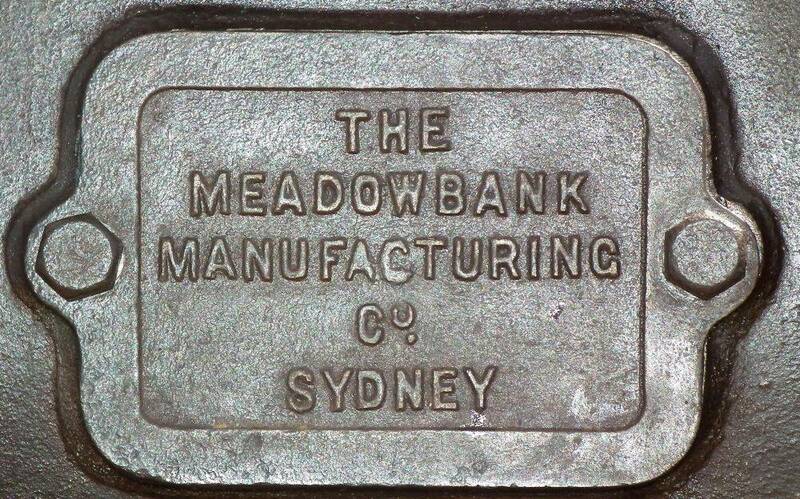 Simpson mentions another company - Meadowbank Ironworks Co, at Meadowbank in Sydney, established by J H Angus in 1895. 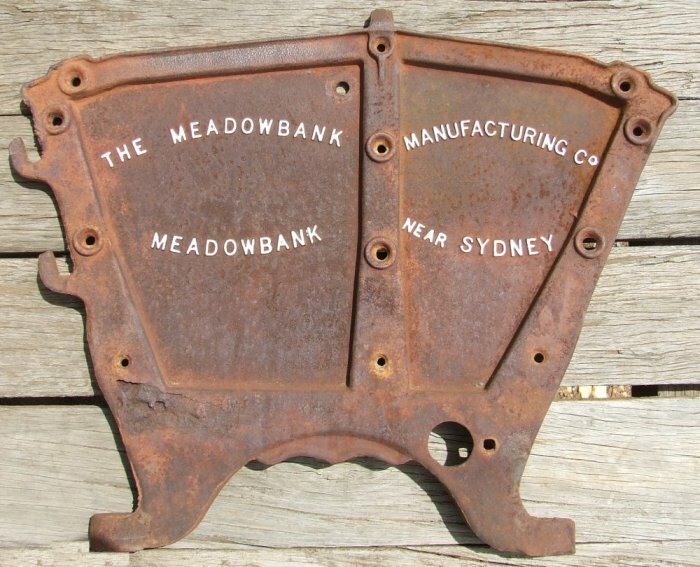 Products are similar agricultural inplements as per Meadowbank Manufacturing Co. The spanner pictured below could be by either company. We have not been able to find catalogues by either company. The similarity in name and product line, location and startup time almost suggests that they were branches of the same company. Meadowbank vertical engine, Image © Ian Browning ( Hon Curator, Friends of Fagan Park). Ian writes "such a vertical engine has turned up in my locality. 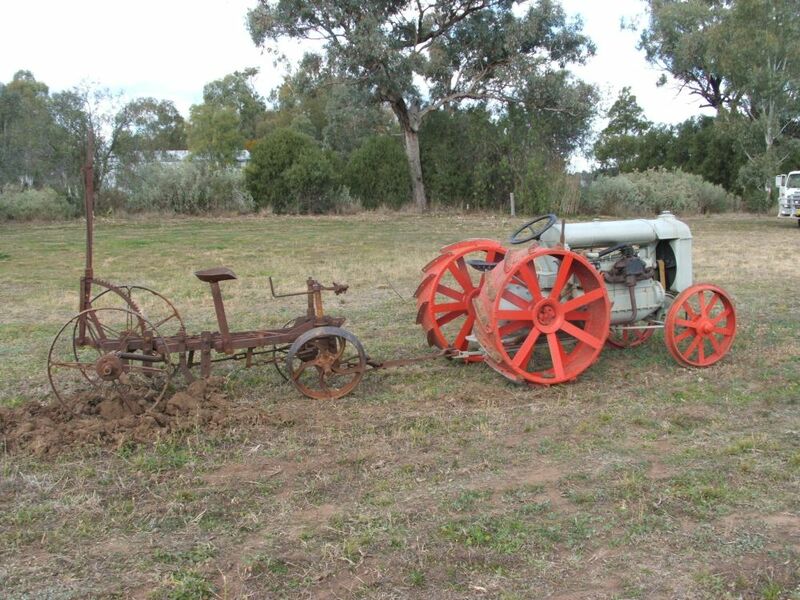 It is in remarkably good condition except for some missing parts. If we could locate an illustration, we would be able to replicate the parts necessary to restore this engine, quite possibly a unique example". The adv above from 1916 states that 12 of them were supplied to the Commonwealth Govt., surely others must exist, along with parts books etc. If you can help, please make contact on the link below. 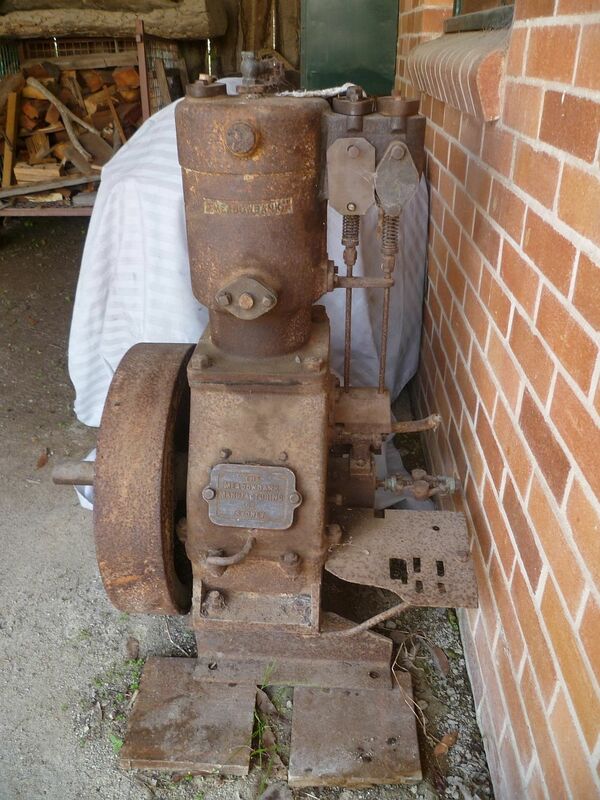 Meadowbank vertical engine, Image ©Patrick Livingstone via Ian Browning ( Hon Curator, Friends of Fagan Park). 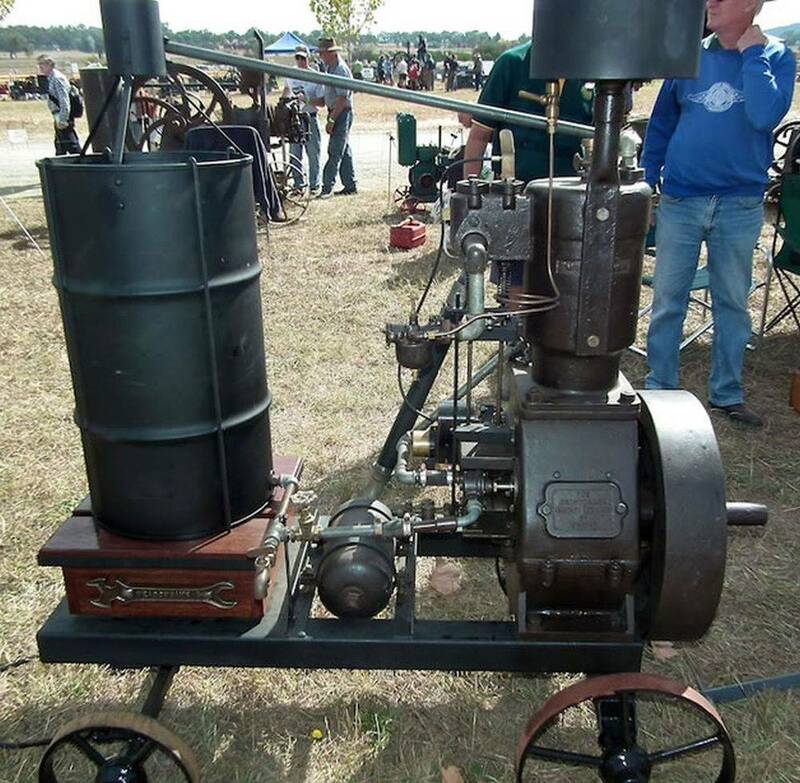 We succeeded in getting the engine to run early in 2013, with a view to exhibiting it at the National Historic Machinery Association’s biennial rally at Mudgee in April 2013. However, the engine suffered a catastrophic internal bust shortly beforehand, but we showed it anyway as a passive exhibit. During the course of preparing it for display, we attached a Meadowbank spanner identical to the one on the website to the timber of the cooling tank stand. This spanner had been donated to us by a tool collector." If anyone can supply information or pictures of Meadowbank or other stuff - please make contact on the link below.